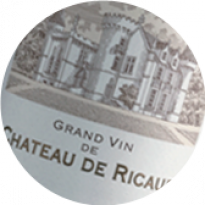 Château Reysson dates back as far as the Middle-Age. Located at the summit of a magnificent plateau, the vineyard is planted on limestone-clay and limestone rock (fossilised shells), which is particularly suited to cultivating Merlot. 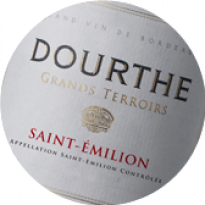 Having been responsible for managing this estate since 2001, and now its current owners, Dourthe has been responsible for managing this estate since 2001 and has undertaken a large-scale quality enhancement programme including yield control, intensification of green harvesting and complete renovation of the winery facilities. 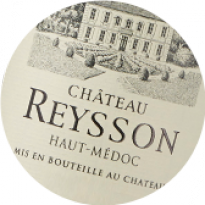 Château Reysson now has the distinction of being a shining example of high quality, accessible Haut-Médoc Cru Bourgeois wines. The clay-limestone soils proved a major advantage in ensuring a successful vintage, regulating water supplies to the vine during the dry periods from June to mid-July and also during wet weather in August and September. Veraison developed well, despite a rather shaky start. The Merlots and Cabernet Francs flourished, evolving harmoniously as the weeks passed. We harvested for almost three weeks - a real luxury – and waited for each parcel to reach optimum maturity before picking. The Cabernet Francs were vinified gently without pressing to retain the finesse of the tannins. We also sought to harness the intensity of the fleshy Merlots with silky tannins, which expressed superb aromas of ripe fruit. Lovely, concentrated colour. 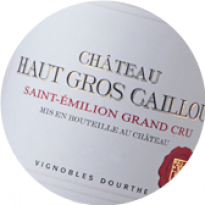 Fresh and ripe nose, redolent of red berry fruits. 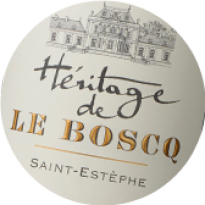 On the palate, the crunchy fruit counterbalances the lovely tannic structure and delicate, well-integrated oak. The freshness present throughout the tasting is a great indication of the character of the Merlots cultivated on Reysson’s clay-limestone soils. A l'olfaction comme au palais, le bois est encore très présent, pour ne pas dire dominant. 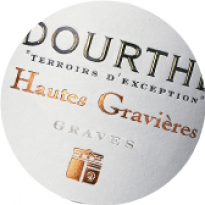 Mais comme l'annonce sa couleur grenat foncé, ce vin a du potentiel et beaucoup d'élégance, que ce soit dans ses arômes de fruits très mûrs et d'eucalyptus qui pointent derrière le merrain, comme dans ses tanins moelleux et soyeux. Un très beau vin en devenir. This rich, juicy wine has 90% Merlot in the blend giving it vibrancy, rich tannins and great black-plum and spice flavors. 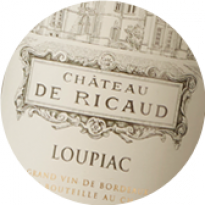 It is a ripe wine, powerful and dense with intense youthful acidity that will soften. Drink this balanced, firm wine from 2022. A juicy and pretty wine with cherries, currants and limestone. Full-body, yet dense yet fresh at the same time. Iodine undertones. Lovely earthy, fruity aftertaste. A blend of 90% merlot and 10% cabernet franc. Drink now or hold. After a promising start to the year, a dull, gloomy summer meant ripening got off to a slow start. Any worries were lifted towards the end of August with the arrival of exceptional, lasting weather conditions. While the quality of the vintage owes a great deal to the excellent late-season, a vintage of this quality would not be possible without considerable work in the vineyards earlier in the season to ensure pristine quality in the vines and stunning fruit. The return of lovely dry, sunny weather towards the end of August once again triggered ripening in the Merlot and Cabernet Franc. Harvesting commenced September 24th with the Merlot, and finished with great quality Cabernet Franc on October 10th. Whole berry fermentation in the Cabernet Sauvignon was the preferred option to preserve its elegance and finesse. 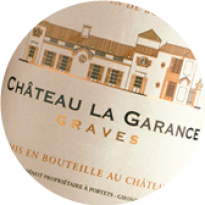 The Merlot, grape variety of choice on these limestone-clay soils, is more silky and aromatic. Stunning dark ruby in appearance. 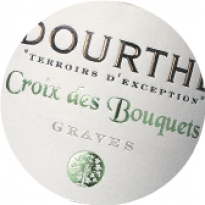 Blackberries and black cherries abound on the bouquet, backed by lovely freshness. Highly concentrated on the palate with unctuous tannins. This soft, voluptuous wine grows in stature and culminates in a finish defined by the delicate toastiness of lovely oak. On aime l’expressivité du nez, au grand fruit mûr et pur, aux notes de pivoine, violette, freesia et truffe blanche, bouche ample et flatteuse, très aromatique et vive. Beau vin charmeur et équilibré. 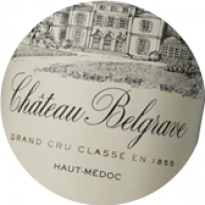 Cru Bourgeois is the mark of a quality appellation within Bordeaux, and it shows in this terrific 2014 red wine. 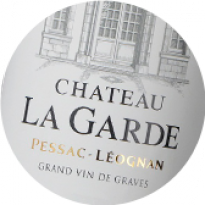 The vines for this robust red are planted in the Medoc where the soils have been eroded to the point where there is no soil, but only gravel, which provides excellent drainage to make those vines suffer and produce small grapes or berries of great concentration in flavour. This is mostly Merlot in the blend with some Cabernet Franc. Pair with prime rib. Fresh herb and blackcurrant aromas with hints of walnut skin. Full body, firm and velvety tannins and a savory finish. Needs time to open. "HAUT-MEDOC. Excellents : (...) Reysson (...)." Fruité pur, cerise, charnu, réglisse, tanins fins, bien juteux, frais, harmonieux, élevage fin, pas trop marqué. Avec 90% de merlot et 10% de cabernet-franc, le vin est souple, charmeur, très aromatique, les tannins sont fins. Droit, frais, un rien austère mais avec un équilibre et une tension appréciables. 14,5-15,5. A dark and lightly baked cherry-fruit nose, with a warm, slightly gamey edge to it. The palate is surprisingly fresh and polished, with very aromatic black cherry fruits, mixed with a quite firm acidity running underneath it all. Very ripe tannins, lightly chewy, with vigorous acids cutting though it, giving the wine a very fresh, lifted character. There are certainly some appealing points here. 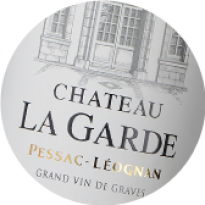 Smoky fruit and good natural ripeness, good modern Haut-Médoc. Solid, with a firm stony spine running through the middle of the steeped plum and red currant fruit. Reveals a tobacco etching on the finish. This is really deep and rich with a beautiful berry and dark chocolate character. Full, round and long. This year at Reysson, Merlot, which is the most widely planted varietal on the estate, showed good resistance to the vagaries of climate, largely due to the young vines planted in our vineyards and the water-retaining capacity of the clay-rich soils, which regulate water supplies to the vine. The chaotic vintage conditions were often seen to disrupt our intervention programmes in the vineyard, and required around the clock vigilance. We endeavoured to adapt on a daily basis, tailoring ploughing and work in the vineyard to allow optimum ripening in the grapes. Selection was even more severe than usual, in order to maintain our high standards of quality. Wonderful dense colour. 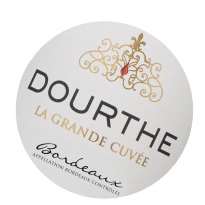 On the bouquet, the wine exudes ripe fruit aromas, paving the way for the wonderfully generous palate, structured by supple tannins and elegant oak. Beautifully balanced, the wine is accompanied throughout by lovely freshness lingering on the lengthy finish. Fruits rouges, bouche ronde, tendre, avec des tanins vifs, joli fruit, droit, frais. Buvable jeune. Quite bright, a strawberry-fruited wine with not bad length and nice tannins. A little oaky on the nose and a little clumsy but it will even out given a few years. Fruit pruneau, souplesse assez généreuse, merlot un peu fatigué, mais avec un bon volume. After a high quality budburst at the start of April, very humid spring weather raised some concern and placed us on maximum alert in the vineyard. Thankfully the clay soils at Reysson, which are unusual in this part of Haut-Medoc, worked their magic, and protected the vines from any major stress during extremely hot weather in July and August. The harvest, even if relatively reduced as a result of having to drop inconsistent bunches caused by variable flowering, was the earliest of all our vineyards, even though this was latest harvest on record at Reysson. The quality of the harvest was good, and well deserved considering the rigorous work in the vineyards throughout the seasons. Lovely deep, bright ruby red. The bouquet is scented with fresh, ripe fruits and a touch of licorice and spice. Round and aromatic on the palate, with a velvety tannic seam, and lovely freshness, which adds to the harmonious balance of this wine, with its fine, subtle oak. A shining example of Merlot grown on Reysson’s clay-limestone terroir. 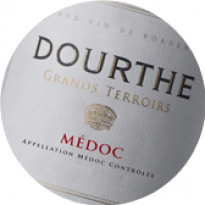 La particularité de cette propriété médocaine est de ne pas posséder de cabernet sauvignon car le terroir est une dalle de calcaire des Astéries. Notes de rose, poudre de rose, épices nobles. Bouche fine, droite, aérienne comme sait le faire le merlot sur calcaire. Très beau grain. The château and the soil are both limestone. 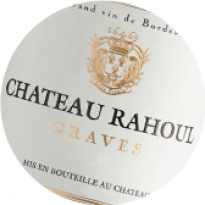 Dominated by Merlot, this is a generous and full-bodied Cru Bourgeois that brings out the structure of the limestone. Reysson is well made and will be ready to drink soon. 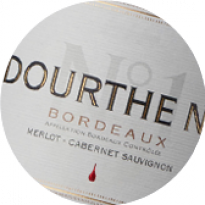 Heavily dominated by Merlot, this is a generous and full-bodied wine. Wood aging has left its mark in the burnt, toasty character. The fruit, though, is generous, bringing out the richness of the limestone oil. This wine will be ripe and full-bodied. 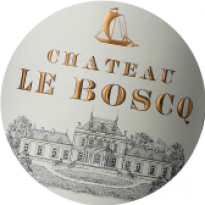 Owned by the famous Bordeaux négociant and vineyard owner, ..., this dark plum/ruby-colored wine presents a juicy, fruit forward, endearing style of cru bourgeois with attractive notes of ripe fruit, spice box and earth along with light, velvety tannins. Drink it over the next 5-6 years. A sleeper of the vintage. 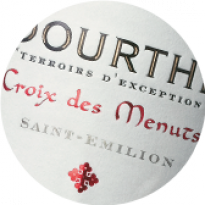 Le merlot s'exprime avec rondeur, dimension tendre, pas très profonde mais très équilibrée et fraîche. Bon fruit. Sweet and succulent and some freshness but no great density. 10 years hard work and investment at Reysson are this year reaping their just rewards. Despite the excessive temperatures and unpredictable humidity of July, the combined effect of the limestone-clay composition of these cooler soils, and rigorously monitoring disease pressure in the vines has resulted in perfectly developed Merlot grapes, The early harvests were totally under control, producing beautifully coloured wines, which are generous on the palate and reveal attractive fruit. Fresh, vanilla bouquet. Attractive, crunchy fruit on the palate, well-rounded wine revealing caressing tannins, and finishing on an attractive, aromatic finish of good length. The finish reveals a discreet but racy ageing. Un vin de couleur soutenue, aux arômes généreux de fruits mûrs. Ample, séduisant, il emplit bien la bouche veloutée, aux notes de fruits cuits et secs, aux tanins souples. Offers an old-school feel, with bay and tobacco leaf notes followed by lightly mulled black currant and blackberry fruit. A flash of chestnut runs through the finish. 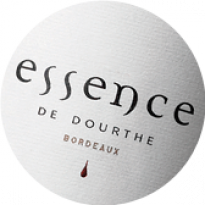 Rich already, this wine is darkly tannic and powered by solid tannins. The weight of fruit behind the tannins also brings out acidity and black currant flavors. It will remain dry but well structured and with good fruitiness. 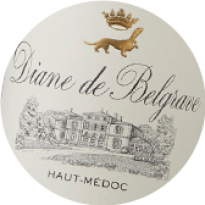 With one of the highest concentrations of Merlot in the Haut Medoc appellation. 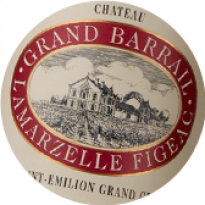 From limestone and clay terroir the estate likens to St. Emilion. Licorice, black cherry and earth aromas, medium body and a fresh, bright cherry personality are found in this wine. 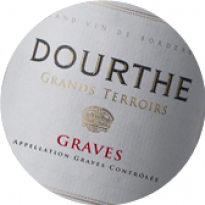 Broad fruit, good vigour and depth. Aromas and flavors of sweet berries and sliced citrus follow through to a medium to full body, with juicy fruit, fine tannins and a clean finish. Well done. The vineyard has been entirely remodelled in recent years, and is now perfectly adapted to this unique calcareous-clay terroir more often found on the right bank than in the Medoc. Today we are reaping the fruits of painstaking work in the vineyard. The harvest, which was very evenly spread over time to allow each parcel to reach optimum ripeness, took place in perfect conditions. The wines seem to gain in roundness and concentration each year. This vintage surpasses all our expectations, even despite reduced volumes as a result of coulure in spring and lack of water in summer. Very deep in colour with a distinct ruby appearance. 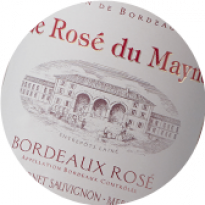 The wine unleashes notes of fresh red fruits and toasted almonds on the bouquet. 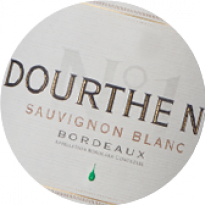 Round and full, the wine is delicious and fresh on the palate, with an aromatic finish laden with appealing vanilla, toasty notes. 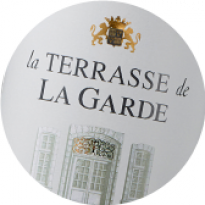 Très axé sur le merlot (90%), belle maturité de fruit, corps gras, riche, tanin souple, générosité. Du fruit, du fruit intensément dans ce 2010 qui se montre charnu et très charmeur. On aime la chair, le cassis dans l'intensité et le boisé plein de retenue. On se ressert volontiers. Nez raffiné, offrant une belle complexité entre le fruit bien mûr, le boisé et les notes épicées, bouche ample, avec une trame tannique profonde, du fruit et de l'allonge. Bon potentiel. Attractive nose with ripe blackberries and plums. Black currant, licorice and chocolate. Full and with good structure on the palate. Ripe juicy acidity and fine tannins. Nice pure fruit in the finish and a tasty licorice note. Un vin facile et gourmand, au fruité délicat. Il a du charme. On le boira rapidement sur son fruit. This is a full-bodied wine with mouthcoating tannins and rich plummy fruit. Very ripe, approachable wine with dense tannins - this wine will taste better with at least 3-5 years in bottle. Well made, good length. 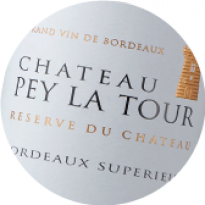 With ripe new wood and spice, it also has blackberry juice flavors and soft tannins. 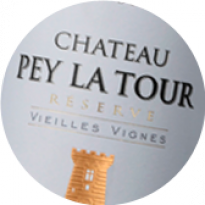 The 2009 vintage serves to confirm the quality of the terroir at Reysson, which was redesigned brilliantly in 2002. The Merlot grapes are perfectly adapted to the calcareous- clay soils, and therefore remained unaffected by significant summer drought. Harvesting took place in idyllic conditions from 25 September to 8 October, a truly pleasurable experience! This year, pre-fermentation macerations were short, the cuvaisons in the case of a very ripe harvest lasting on average 23 days, which makes for easy extraction. The wines were placed in 400 litre barrels, to adapt the ageing process to obtain a specific style, in this case seeking power and finesse. 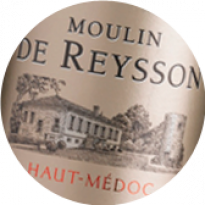 Deep ruby in colour, Reysson 2009 reveals stewed red fruits on the nose, with a distinct spicy note. 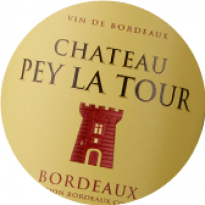 The wine is supple on the attack, rich and full on the palate, backed by obvious, firm yet wonderfully smooth tannins. The perfectly balanced tannins-alcohol ratio, a gift from this sunny vintage, brings the wine roundness, richness and great length on the palate. This is a generous wine with great ageing potential. 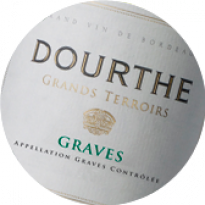 Très fondu sans pour autant avoir perdu sa chair, ce vin affiche un boisé discret et on retrouve en finale la fraîcheur du fruit. Un bon merlot sur sol argilo-calcaire. Sweet cassis, plum and vanilla bouquet...with a lovely sweet, juicy fruit entry. Good balance and freshness with well-structured tannins. Rather open, with friendly, lighter-bodied damson plum, cherry and toasty vanilla notes, all backed by a whiff of tobacco on the easygoing finish. From the far north of the Médoc. Light, sweetish nose. Fruit very much dominates oak, though there is a very slightly green edge. Classic Médoc. Punchy. Tasted at the Cru Bourgeois 2009 tasting in London. The Reysson 2009 has a sweet lifted bouquet with mint, blackeberry and a faint hint of Worcester sauce! 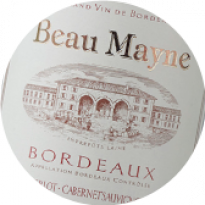 The palate is medium-bodied with fine tannins, good fruit concentration and harmony, with a very composed finish. Very fine. 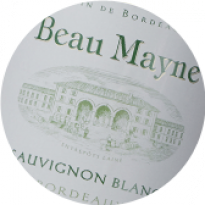 Another outstanding value for those looking for a wine to consume for the next decade. The deep opaque ruby/purple colored Reysson offers complex scents of plum, blueberry, cherry crème de cassis, and pure wet-stoned aroma. 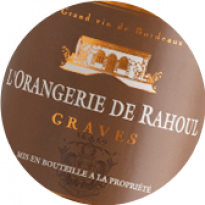 It is so good thanks to its lusciously-filling gobs of fruit and its open, generous style. There is abundant berry and cherry flavor and outstanding length. A solid and substantive offering from REYSSON! The smoothest of ripe fruit with an exuberance of wood spice. The wine has generous tannins, but the finish feels a little rustic. Schwarzbeerige Frucht,Nougat, etwas verhalten, tabakige Würze, mineralisch unterlegt. Süß, gute Komplexität, straffe Tannine, die gut integriert sind, salzig und anhaltend, feiner Schokonachhall. Ausbau : Barrique. Excellent vitality on the nose but a little too worked for freshness on the palate. Sinewy. Very drying finish. 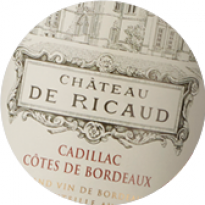 Good depth of rich, quite lifted fruit, classic modern Médoc. 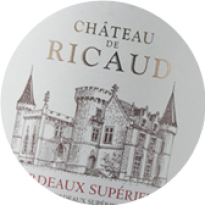 The calcareous-clay character of the soil and subsoil at Reysson is particularly suited to the Merlot that dominates the planting at the Chateau. The work undertaken in the vineyard throughout the year was rewarded with a very healthy harvest, left on the vine until the required ripeness. The berries are very aromatic with delicate flesh, and well-balanced structure. The winemaking process specifically promotes this aromatic profile and seeks a well-balanced palate. Ageing in 400 l barrels compliments the standard ageing in 225 l barrels, to retain maximum fruit content in certain batches. Concentrated colour, purple with violet glints. 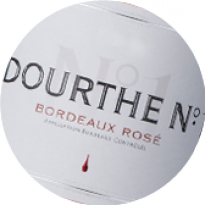 The bouquet offers black fruit aromas, blackberries, Morello cherries, and a delicate, fresh oak character, which does not in any way overwhelm the fruit character of the wine. Initially the wine is lively, clean, fresh and fruity, whilst starting to develop a steady tannic structure, showing no trace of astringency. 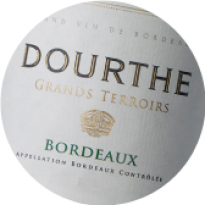 The wine is well structured, fruit focused and delicately underpinned with oak. The wine finishes on the palate with elegant and soft tannins. Bon classique, friand en attaque, ses arômes de cèdre rappellent certains beaux terroirs de Saint-Estèphe. 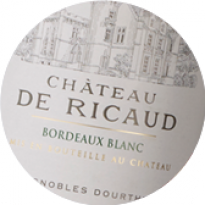 Voici un Haut-Médoc délicat et assez fin dans ses tanins, peu extraits et équilibrés. Dominé par le merlot issu d'un sol argilo-calcaire, il procure un certain plaisir. Nez bien agréable de fruits rouges et noirs, avec des notes fumés, minérales et eucalyptus, bouche tout à fait dans le même style, très aromatique, avec une belle chair, des tanins serrés, de la fraîcheur et une bonne suite. Tender and perfumy, this plush red offers strawberry and raspberry flavors, with sweet vanilla notes and enough acidity to stay fresh and balanced. Soft tannins give way to a spicy finish. Focused and alluring. Drink now. Fine, ripe nose with violets, dark fruit. Tar and almonds. Full, crunchy flavours, fine tannins and a lovely silky texture. Moorish, harmonious and appetising. Arômes raffinés qui expriment un fruit mûr et un boisé subtil. 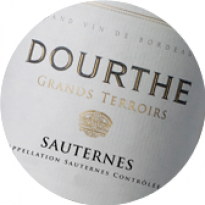 Bouche franche, soyeuse, très aromatique, fraîche et équilibrée pour ce vin classique.